Olympics opening ceremony The opening ceremony of the 29th Olympic Games started at 8 p.m. Friday. Chinese president and more than 80 heads of state and government and royals attended the ceremony. 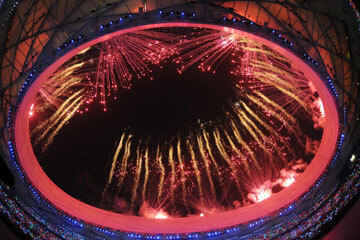 Closing ceremony of Beijing Olympics The closing ceremony of the Beijing Olympic Games began in the National Stadium, also known as the Bird's Nest, in north Beijing at 8 p.m. sharp on Sunday. 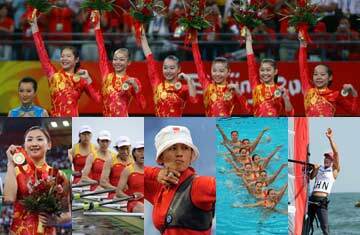 302 Gold Medalists at Beijing Games ��Swifter, Higher, Stronger�� is the Olympic motto. 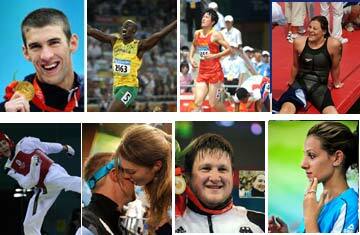 These talented and gifted athletes of the 2008 Summer Olympics remind us of the subtle life lessons we learn by taking part in sports. 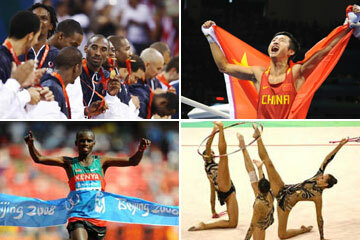 "Superlatives" to be remembered The Beijing Olympics has witnessed so many superlative performances, most of which are set to go down in history. 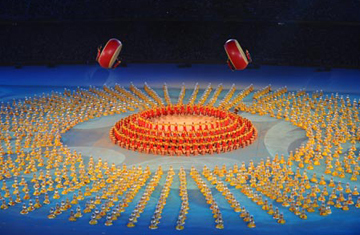 China's breakthroughs at Olympics China has made a series of breakthroughs in many sport events at Beijing Olympic Games, such as winning China's first women's gymnastics team gold, first ever Olympic sailing gold.